What can one say about a city that has existed for thousands of years? Rome fits our criteria for an outstanding, educational family travel adventure that combines art, history, architecture, food and culture. You can spend a few days or an entire month exploring the glory of Rome, as it exists today and as it was in ancient times, and leave amazed and enlightened about this wonderful, mad city. When in Rome with children, do as the travelling mom has done. 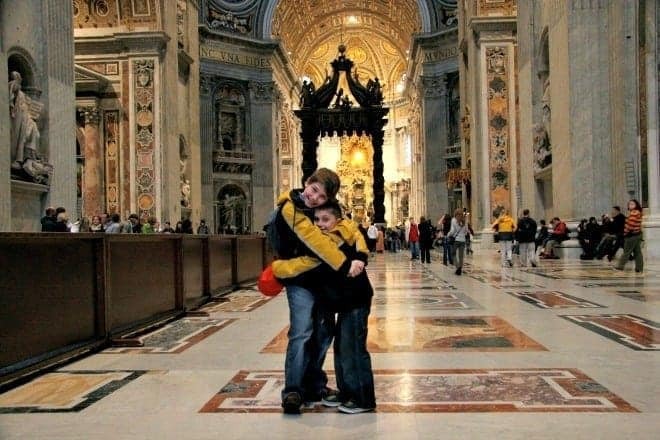 Here is our family’s Top 10 List – our ‘must see’s’ and the top things to do in Rome with kids. The area around the Colosseum includes the Arch of Constantine, the Palatine Hill and the Imperial Forum. I highly recommend a good half-day visit to appreciate the magnificence of the Roman Empire. The scale of the ruins is incredible, and the kids will have some freedom to explore and stretch their legs. When people ask me for advice about what to do in Rome with kids, I always recommend spending time in the Forum and Colosseum area. It’s one of our favorite places in Rome for kids and families. Saved from destruction through its consecration as a Christian church in the 7th century, the ancient Pantheon temple built first by Agrippa and then by Hadrian is an architectural and historical jewel. The dome and oculus, the bronze doors and royal tombs, and the original portico are marvels of the ancient world. A visit to this structure is an excellent beginning to anyone’s architectural education, whether young or old. It’s one of the best things to do with kids in Rome. I recommend a visit to the Pantheon when it’s raining to watch the rain fall through the oculus into the middle of the building. It’s magical. Also, try to avoid the hawkers in the square outside the Pantheon. If you’re need of espresso or gelato to revitalize yourself, there’s a few great choices just around the corner from the Pantheon. This lively market square is bustling with vendors of fresh produce and flowers (hence its name fiori), but also with stalls of clothing, jewelry, toys and trinkets. You can spend a wonderful few hours exploring the kiosks for gifts for home, and give the kids some Euros to spend on their own treasures. It’s one of the best things to do in Rome with kids. The price for an Italia or Roma soccer jersey may be cheaper here than on more high-brow streets in other neighbourhoods. And who can resist the temptation to haggle? Ostia Antica is the site of Rome’s ancient sea port, and is situated 40 minutes outside the city by commuter train. It’s one of the lesser known Rome attractions for kids, but well worth the visit. The ancient town-site makes for an outstanding day trip if you wish to see the well-preserved ruins of a Roman town. 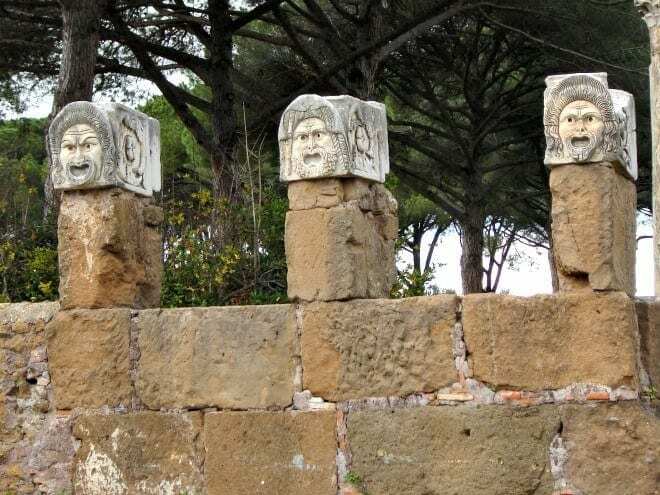 Ostia Antica was rediscovered and dug out from centuries of sand burial, and the ruins showcase an amazing, sophisticated society, complete with baths, bakeries, gyms, temples and latrines. The kids may love learning about the ‘sponge sticks’ in the communal toilets. It was certainly good for a laugh! However, keep in mind that the site is large and requires a lot of walking. The ancient stone road isn’t that stroller-friendly, so we’d recommend a visit here if your children are 8 years and older. 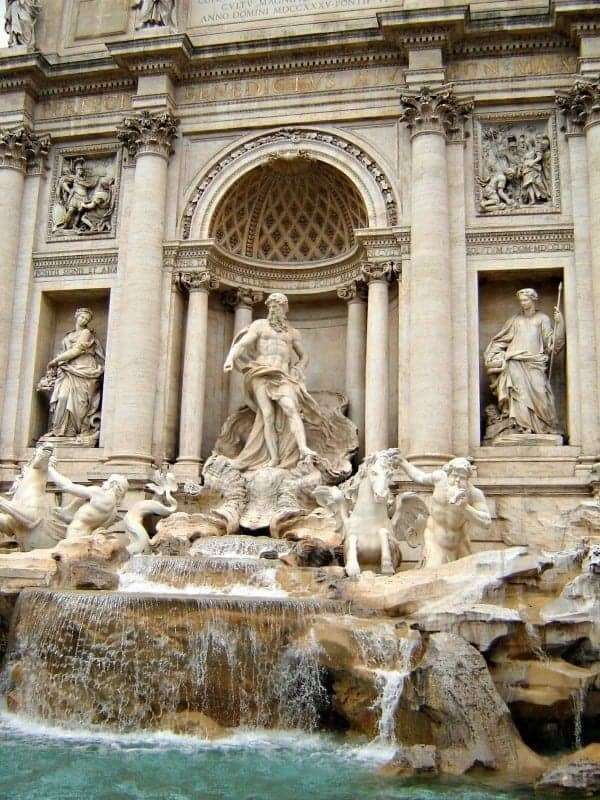 You’ll have to battle the crowds to get a photo at the Trevi Fountain, but it’s the most magnificent fountain in Rome, and very much a must-see. Don’t forget to turn your back and throw your pennies in the fountain to ensure a return to the city (as the story goes). 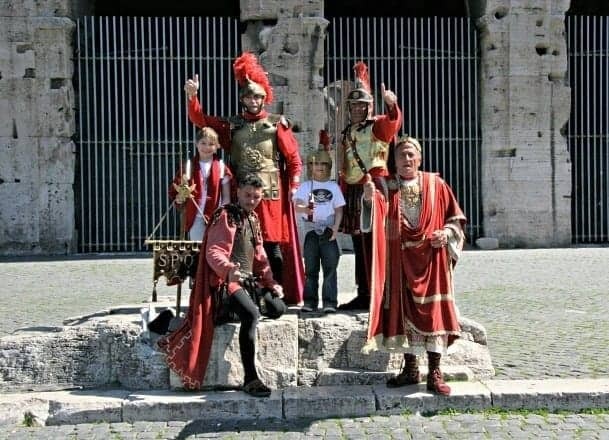 It’s a really fun thing to do with kids in Rome. The San Clemente Church is within walking distance of the Colosseum, and is worth the visit to descend 60 feet underground and view the many layers and 2,000 years of Roman history on this one site. The stunning tile works, paintings and ongoing archaeological work underground are fascinating, and also a little bit spooky and claustrophobic. It’s a bit off the beaten path, but adventurous families should add this to their list of things to do in Rome with a 7 year old or older. Rome is not a lush, green city. The predominant colours are brown and beige, and trees (and shade) can be very hard to come by in the heat of summer. 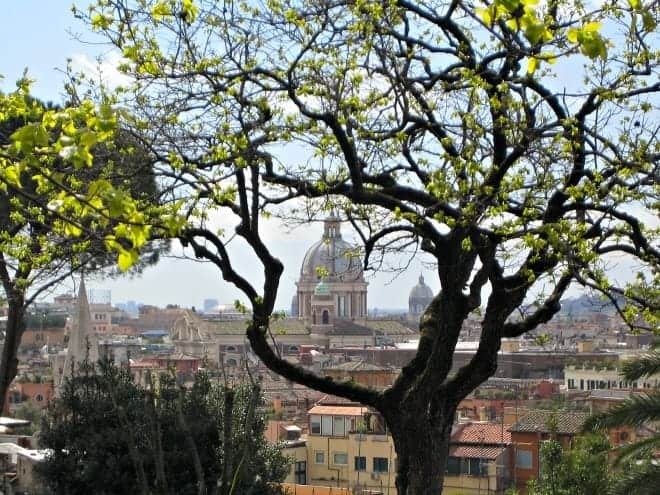 If you’re visiting Rome with kids, the best place to be for a leisurely stroll in landscaped, green gardens is the Pincio and Borghese Gardens. The Gardens overlook the large Piazza del Popolo and are also home to the Villa Borghese. You can bring a picnic to enjoy on the grounds, rent bicycles, and visit the Gardens’ small fun fair, which is great for small children. The views of Rome are also superb from this higher vantage point. Conveniently located near one of the best high fashion shopping streets in Rome (Via Condotti), the Spanish Steps and Piazza di Spagna are magnificent in spring and early summer when the flowers are in full bloom. The sinking boat fountain (La Barcaccia) sits at the foot of the steps and was designed in this amusing way due to the area’s low water pressure. A lovely spot to stop for a break and enjoy a snack or gelato. We’ve only scratched the surface here! 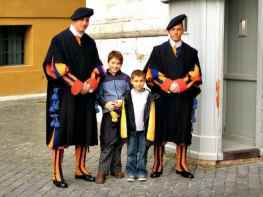 There is so much more to write about visiting Rome with your family. We’ll follow up this article with more ideas about great day trips from the City and other sweet spots to discover. And speaking of food, we’ll be sure to share where to find the best cappuccino Rome, gelato and other Roman goodies. The magic of Rome for families is always made better by saving money. Buy a Roma Pass Card for each family member at the Airport or at a tabacchi upon arrival in the city. It will allow you entrance into the Coliseum and Forum areas (as well as other Museums and sites) without having to line up. The Pass also includes free Metro transportation for three days. However, if your children are under six or ten years of age, we’d advise checking out the site entrance rules ahead of time. There may be free entrance or reduced fees for younger children. Have you visited Rome? What were your favorite sites? Share your comments below. We spent five days in Rome last summer and hit many of these sites. One thing we loved was exploring Trastevere through a food tour with Eating Italy — it was a trip highlight. Thanks for the tip, Tamara! We’ll have to book a tour with them on our next trip to Rome. We loved the Trastevere neighborhood. Cheers! Any idea where can I get this tour? Or info about the highlights that’s u did.in Trevestre? Great blog on Rome! After 3 years of living in Bern we are finally getting to Rome, Florence and finally Elba, meeting up with some friends to stay in a safari tent on an organic farm! We’ve chosen a beautiful apartment in Florence but are stymied with all the choice of accommodation in Rome…where did you (or anyone reading this) stay with your family on your trip to Rome? Thank you for the kind comments, Rob! It sounds like you’ve organized a wonderful trip in Italy. When we visited Rome, we stayed for three weeks in an apartment rental in Ostia, a 20 minute train ride from the city, on the Mediterranean coast. 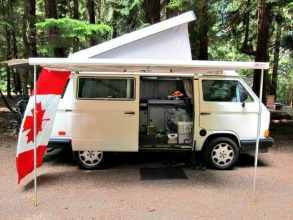 It took time to get in and out, but we enjoyed affordable accommodation on our multigenerational trip, plus a full kitchen and laundry facilities, which couldn’t be beat. Within Rome, I’ve heard good things from other travellers about The Beehive Hostel – http://www.the-beehive.com. It’s well-situated and central in the city, with good reviews. 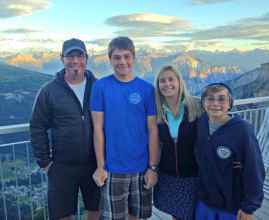 We’ve stayed in many hostels with our kids over the years, and I would recommend this accommodation option highly, provided they meet your needs and are well-run, which this one appears to be. Let me know how things go! Happy travels. Hi Rob, I’ll look it up for you and send you a direct email. While I don’t know whether they do one-night only stays, there’s no harm in asking! Cheers. This is a great list! We are headed to Rome in a few weeks! Definitely checking these out! Wonderful! Enjoy the Eternal City. Do you know much about dress codes for children? Are they allowed in churches weraing shorts, for example? Young children should be fine. However, teenagers with bare shoulders or exposed legs may be denied entry. It happened to me when I was 14 years old and visiting the Vatican. I would check their website for the latest dress code information. This information is so helpful. The best I’ve read. 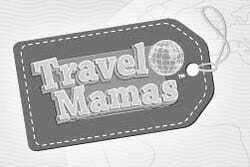 I will be traveling with a 16 year old grandson in April. We will spend several days in Rome and your suggestions and comments are so helpful. I’m also looking for recommendations for Tuscanny and the Almalfi Coast. I would like to know your recommendations. Thank you for the kind words, Sue! I”m so glad that you found the information about Rome so useful. April will be a great time to visit Rome with you grandson – what a wonderful trip you are planning. Will you be in Rome over Easter? There is much to enjoy, especially at the Vatican, during that time of year. For Tuscany, do you have time to visit Florence and Siena? The latter is a personal favourite destination that I would highly recommend. It’s gorgeous and not quite as busy as Florence always seems to be. For the Amalfi coast, please read my article on Capri, Amalfi and Sorrento. 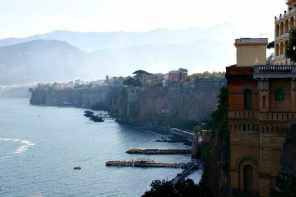 If you have time to stay in the region for a few days, use Sorrento as your base to visit the island of Capri and the Amalfi Coast – it’s very well-situated and a beautiful little town. Not quite as ‘pazzo’ (crazy) as Naples can be! Let me know how I can help you further. Happy trip planning! We are traveling to Capri for a wedding July with our 11 year old daughter. We are sorted out with our accommodation until the 13 July. Spending time on Capri and Ravello. We are flying out of Rome late at night on the 16th July. I have booked one nights accommodation in Rome for the 15th – planned to spend a 1 day and night in Rome on the way out. We will also spend a night in Rome before leaving for Capri. We are looking for suggestions of where to go after Ravello for the 13th and 14th…..a wine farm/area inland would be great. Enroute to Rome. Any ideas. Thank you for the list. I would like to add the Colosseum Free Tours (Rome – Italy) with the new website: http://www.colosseumfreetours.com. Every first sunday of the month the Colosseum is free of admission and a Colosseum Free Tour is always organized that day. It is also possible to book for FREE through EVENTBRITE: Colosseum Free Tour. Thank you very much. Thank you for adding this Rome travel tip. Hi we are visiting Rome next month with our daughter and 2 nephews. This is a great list that I am going to use extensively. Thank you for sharing this. Do you have any suggestions for a family friendly hotel or home stay in Rome? You are very welcome! We stayed outside of the city in Ostia. I would highly recommend checking out VRBO or AirBnB for apartments in town.